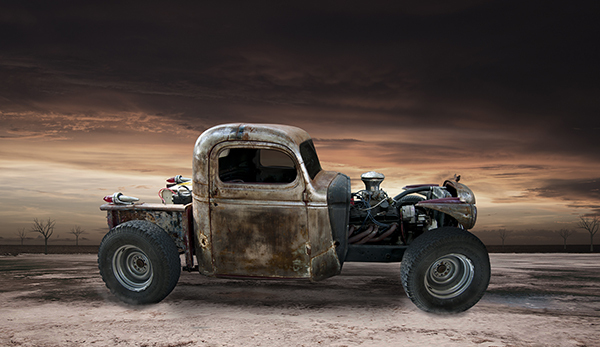 This desolate photo featuring a vintage car in a dry desert is depicted in tan, rust and grey tones as the dust settles around the car. All limited edition Prints on Canvas are gallery wrapped with black or white border and are ready to hang. Award winning photographer, Lori Hutchison has been creating digital art and unique photography for over twenty years, photographing people and places from east to west coast. Her classic car photography collection is a must for every car lover. Lori is a Photographer and Digital Artist Photo Artist who has been photographing people, places and things, from the East Coast to the West Coast for over twenty years. With a degree in photography from Daytona State College, she relocated to Los Angeles, and wanting to challenge herself, she started utilizing Photoshop to create images outside the box. Her works are available in high quality Giclee prints and gallery wrapped canvas prints. The attainable excellence that Giclee printmaking affords makes the reproduction virtually indistinguishable from the original artwork. Lori Hutchison is a photographer and digital artist who has been working for over twenty years photographing people and places from east to west coast. She creates digital works utilizing photoshop to create high quality prints. 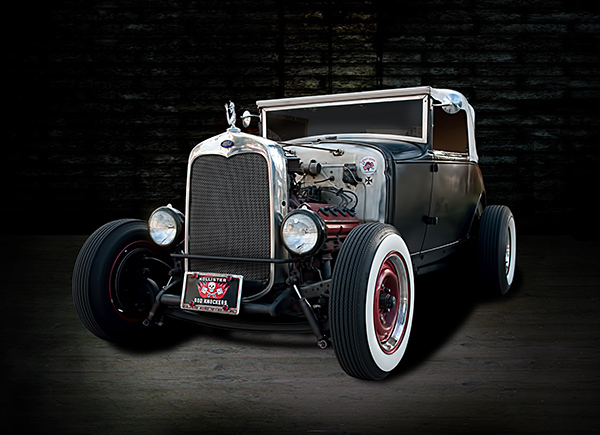 This artwork is of an antique Ford spotlighted in a dark garage. Print on canvases are gallery-wrapped and ready to hang. This beautiful photo of a vintage rundown Chevrolet truck features unique shades of brown in a desert like landscape. All limited edition Prints on Canvas are gallery wrapped with black or white border and are ready to hang. Award winning photographer, Lori Hutchison has been creating digital art and unique photography for over twenty years, photographing people and places from east to west coast. Her classic car photography collection is a must for every car lover. 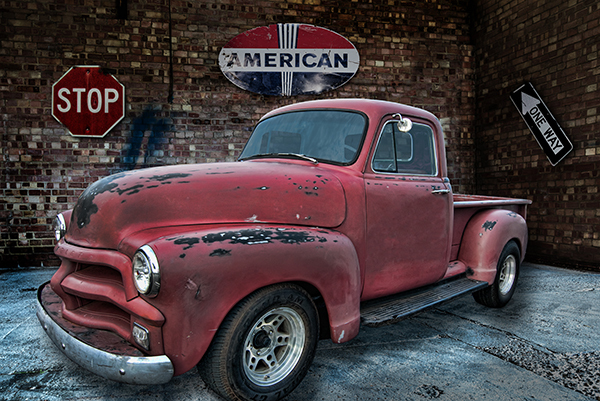 This vintage photo of a classic 1954 Chevrolet truck features a nostalgic palette in shades of red in a rustic garage. All limited edition Prints on Canvas are gallery wrapped with black or white border and are ready to hang. Award winning photographer, Lori Hutchison has been creating digital art and unique photography for over twenty years, photographing people and places from east to west coast. Her classic car photography collection is a must for every car lover.